FeastHome – Years ago, kitchens were just a small space you used to prepare food. Now they have become the talking point of the house. Be it having a small chat with your neighbours over tea or a dinner party with your old friends, kitchens have come a long way in supporting this. People all over the world are decorating their kitchen with the trendiest accessories. Be it contrast tables or marble table-tops, kitchens are now being decorated and shown off all over the world. We will help you stay in the competition. Read further. 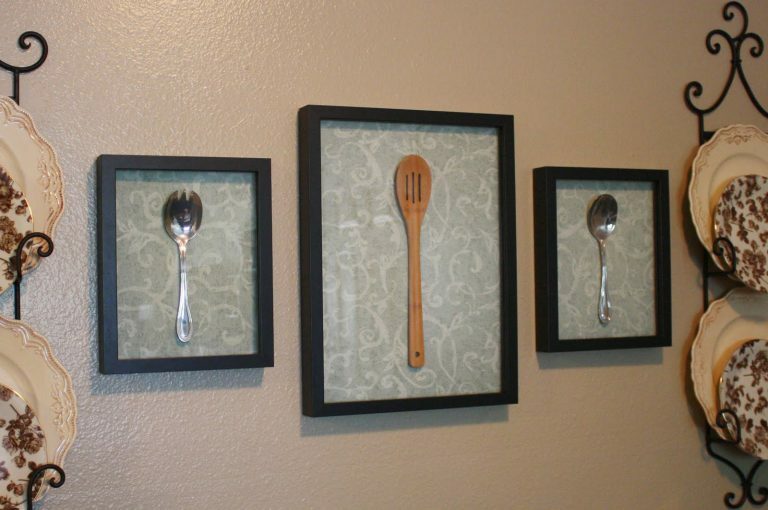 Don’t want to frame your utensils? No problem. Frames are the new style of decorating. They are currently in trend and we believe they are here to rule. You can use them to highlight certain utensils in the house or just put a picture atop and nail them on the wall. Either way, they showcase your possessions like no other. Frames are available on so many sizes and colours. The answer lies in the type of kitchen you currently have. It is not only stupid to use a timber frame to showcase your pink ceramic glasses, but it is highly out of sync too. Try to stay true to the theme of your kitchen. Accessories and frames go hand in hand. Have a fine bottle of Pinot Grigio? Why not showcase it with a custom wood shelf with space for a bottle and a couple of wine glasses, and frame it? They’ll enrich the look and royalty of the kitchen. You can even write “Who framed Pinot Grigio?” on top, as it adds a humorous touch and those who understand the joke will definitely like it. If you have a modern kitchen with sparkling whites and mirrors, you can throw in all the colourful utensils in a shelf and frame it. It will stand out as an art, and not as utensils that don’t belong in your kitchen. There is always the age-old method of putting up art in your kitchen. You can buy retail pieces of so many great artworks and fix them on the wall. In fact, you can create your own art. You can take cherish able pictures and frame them. It can be four pictures of your new-born kid smiling or a four year old doing a cartwheel. Putting up art in your kitchen shows so many things. It shows that you are a person with great taste. The art has to be meaningful too. A great kitchen says only one thing. It is called the theme. Our kitchen will have only one theme. You might think that a fusion might work. No. A fusion is a very sophisticated type and the chances that you can achieve that are more miss than hit. For now, start thinking about the theme. It can be classy, modern, wood-centred or even totally colourful. When you finalise it, paint it. Pale gold and brown go well for classy kitchens. 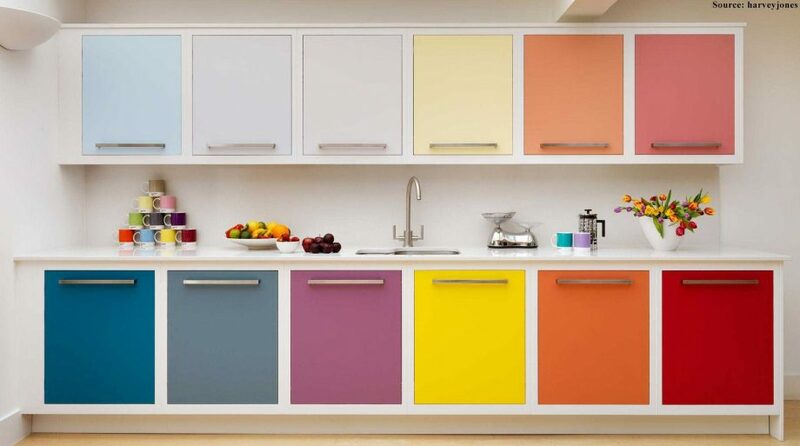 For a colourful kitchen, select no more than three colours. Unless you are confident you can pull of all the colours like this, don’t do it. Once you paint it, there is no going back, unless you want to spend more money and redo it. So, choose carefully. Invest in premium quality paint. There is nothing worse than having all great accessories in a poorly painted kitchen. Next, it’s the accessories. 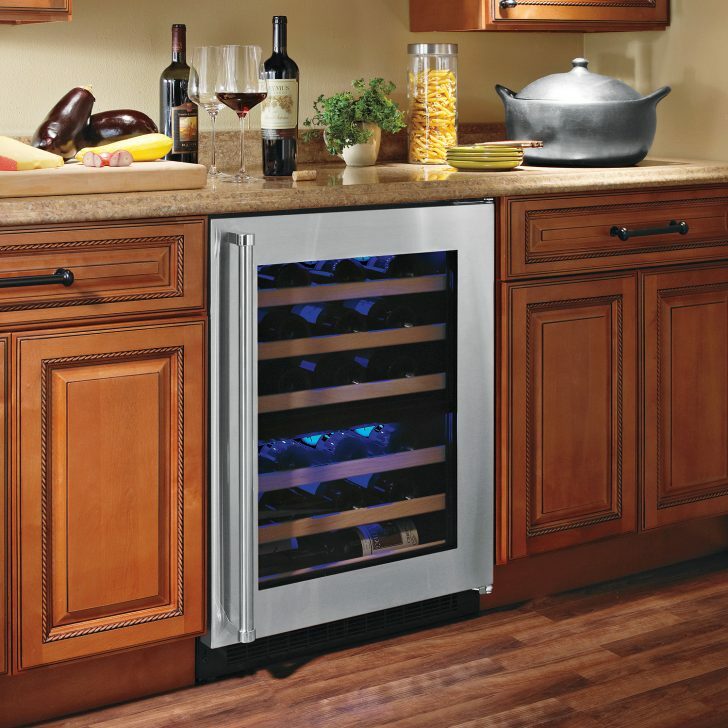 You can get yourself a wine cellar, if you consider yourself a wine collector. You can collect coffee mugs, rare plates and what not. Build a separate shelf for these items. Why buy rare things and store them in the attic? Next, you can think of frames. Frames, as I have told you before, really add a great look to your products. Some people avoid this and go with art. You can tell stories with pictures. Why not frame them on the kitchen, and embrace what you have experienced? Some people add pictures of their kids; some add flowers and other beautiful things. Art has a lot of meaning to it, and it uplifts the overall mood of the kitchen setting. Some people have a big picture of the Eiffel tower fixed on the wall and call it a “creative space”. They showcase some of their possessions there. I have seen a woman showcase all the ships in a bottle that she made. It looked fantastic. You can do something like that too. You can show off the cookbook that made you a pro. You can put up neon signboards. These are a tricky accessory and aren’t compatible with much themes. But if your theme is modern, you can put up a white neon sign board that says something. Keep the word count short and the neon less flashy. Let us look back at what we have just seen. Create a theme for the kitchen. Paint the kitchen according to the theme, with premium quality paint. Don’t shell out money, but don’t settle for poor quality either. Accessorize your kitchen with products that have enough usability. Add frames to your kitchen. Add arts and pictures. You can give life to a kitchen. It deserves one too.